He is currently serving his sentence in east China’s Zhejiang province and is in dangerously declining health. His family members fear he will die in prison, but requests for his release on medical parole have been denied. Zhu’s activism dates back to the first pro-democracy movement in Communist China: Democracy Wall which started in Beijing in 1978. Zhu was one of the founders of the Democracy Wall movement in his native Hangzhou, capital of Zhejiang province. In 1979, he founded April 5 Monthly, a major pro-democracy publication. In 1998, he was one of the founders of China Democracy Party and served as general secretary of Standing Working Group of Zhejiang Preparatory Committee of China Democracy Party and a member of the Preparatory Committee of National Preparatory Committee. Zhu’s political activities led to his conviction on Nov. 2, 1999, of trying to subvert state power, for which he was sentenced to seven years in prison. Following his 2006 release, Zhu was arrested again in 2007 and was sentenced to two years on a contrived charge of obstructing government business. Zhu became a Christian in 2010. 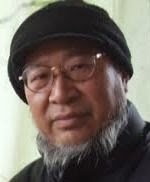 On March 5, 2011, Zhu was arrested once more, this time for a poem he wrote and distributed online around the time of the Arab Spring protests called “It’s Time” that called on people to take to the streets (http://www.hrichina.org/en/content/5790). Zhu was born on Feb. 13, 1953, in Hangzhou, Zhejiang.